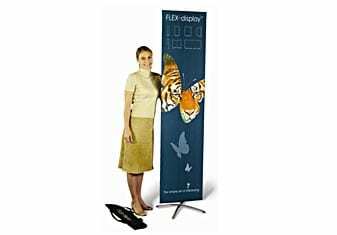 FLEX-display banner stands are probably the most lightweight, easiest to assemble and most portable systems on the market today. Just because it is lightweight doesn’t mean that it isn’t well built though. We have engineered the weight out of the system but with a clear focus on stability too. Of course, there needs to be some trade off but we believe that the system provides the optimum balance of weight and stability. 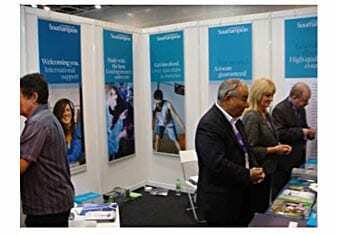 Constructed from lightweight aluminium and combined with fabric graphics, FLEX-display banner stands and large fabric backdrops offer a far more portable alternative to roller banners or large magnetic pop up stands. Even our largest displays pack down into soft, lightweight, zip-up carry bags and so there are no chunky wheeled cases to contend with when it comes to transportation. 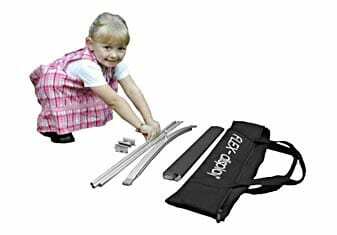 Our 65cm x 2m banner stand complete with hardware, fabric print and carry bag will fit into most suitcases which means that nothing has to be checked in as a separate piece of luggage. 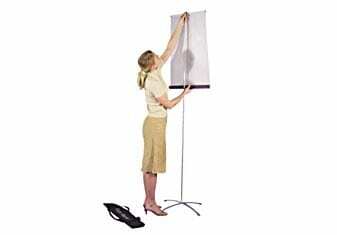 And, we can now also offer our FLEX-Lite base to overseas travellers to further reduce the weight of our banner stands. You don’t need to wrestle with FLEX-display. A few simple parts clicked together and you are done. Set up is in minutes for even the biggest displays where two people are needed. Need to go even lighter? Where weight is a real issue some international travellers choose to take only our fabric prints overseas. The prints are finished with an aluminium rail top and bottom and 4 such banners will fit into one of our carry bags together with hanging clips and hooks. At the exhibition the fabric prints are unrolled and 2 hanging clips are attached to the top rails and the graphics are hung from the wall of the shell scheme using the “S” hooks provided. If no hardware is required we can finish the fabric graphics by sewing in a thin metal rod at the top and bottom of the graphic. Seven or eight such graphics will then fit into one of our carry bags together with “S” hooks and our eyeleted crocodile clip, which attaches to the top rod to provide a hanging point for the “S” hook.